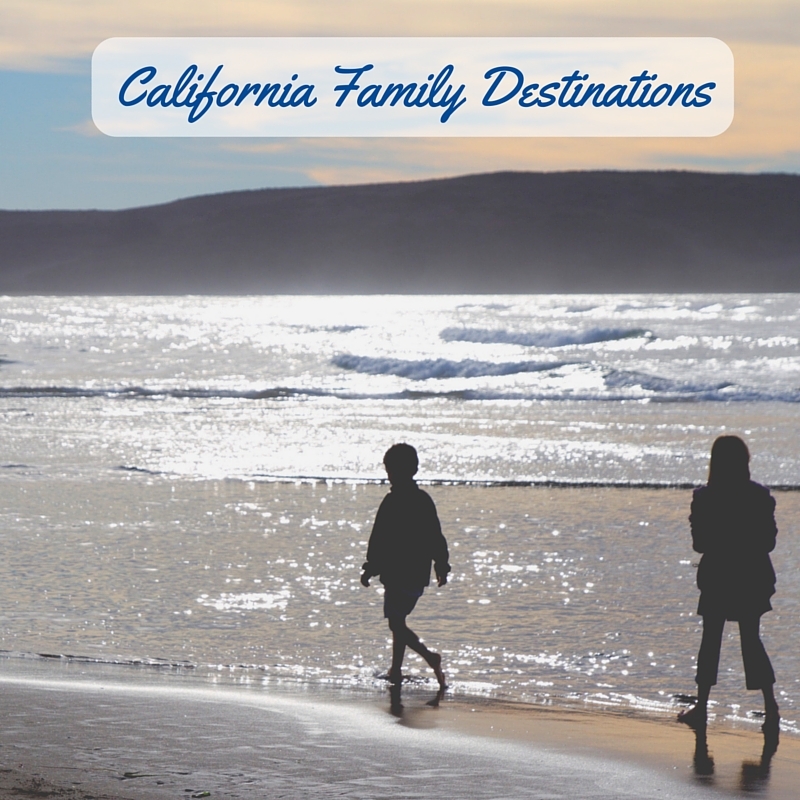 Here in the Bay Area we are so lucky to live in an area with so many fantastic places for families to visit. Some are obvious and super touristy, while others are a little off the beaten track. If you're looking for a fun outing for a weekend, ideas for visitors or just a staycation over the holidays there's a ton of fun to be had right here in our own backyard. Need a little inspiration? Here are some of our favorite Bay Area places to visit. Want more details? Just click on the name of each place and you'll be taken to a post with lots of photos and information from one of our visits. Sometimes it can be easy to overlook fantastic places that are right there in front of you because they seem a little touristy. We found ourselves falling into this trap when we lived in Sydney. We avoided visiting certain places that tourists frequented because it just felt weird going there as a local. And you know what? As soon as we moved away from Sydney I regretted not playing tourist in my own city. We've tried not to fall into that trap here in the Bay Area so we make sure to play tourist as much as possible. A trip to Alcatraz is on pretty much every tourist's must do list when they visit San Francisco but I know so many people who've lived here there whole life who've never been. Sure, it's touristy but it's also a fantastic place to visit. It's full of history, the views over San Francisco and the Bay are amazing, and you get to take a boat ride on the bay to get there. Because Alcatraz is a National Park, kids can take part in a Junior Ranger program and earn a badge at the end of the visit. Looking for a city hike with stunning views? Bernal Heights Park is the perfect place. 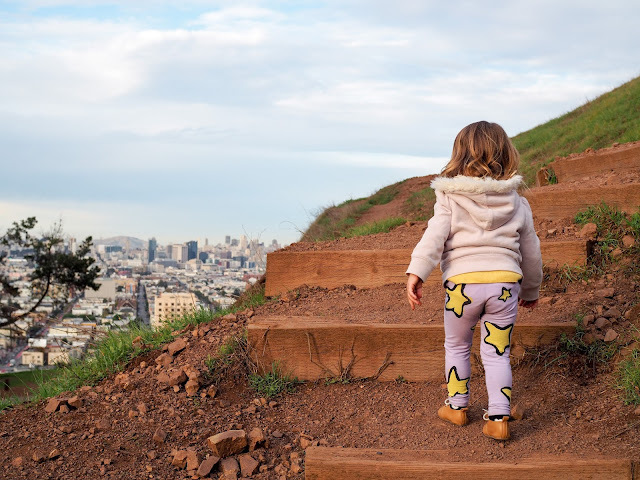 This relatively easy hike takes you up to the top of one of San Francisco's many hills where you will be rewarded with 360 degree views over the city and Bay. Kids will love running around on the grassy slopes while parents take in the views. There's even a rope swing at the top! There's nothing quite like swinging out over the city. 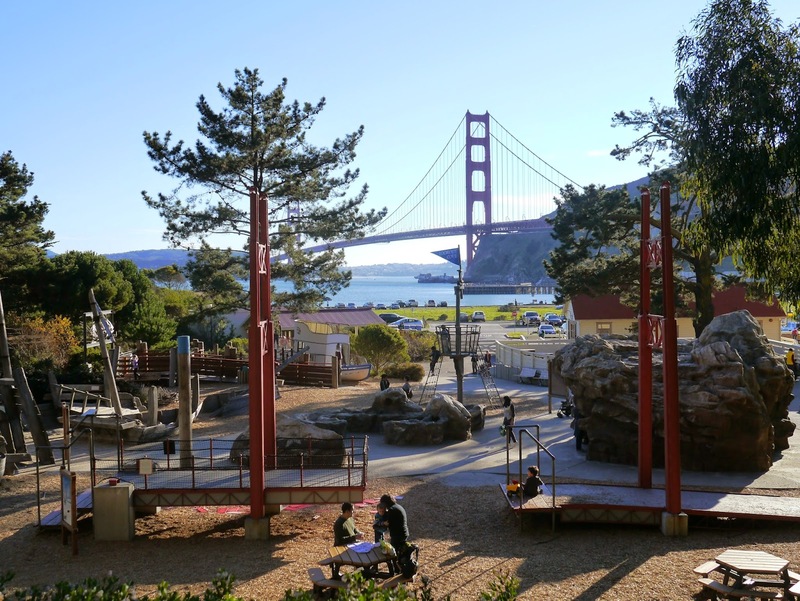 If you walk from the Mission District, like we did on our recent visit, you will find a fun slide park along the way too. My favorite museum of all time! California Academy of Sciences is such a wonderful place, from the flooded Amazon forest in the lower level all the way up to the Living Roof on the top. Cal Academy is like several museums in one and features an aquarium, planetarium, rain forest dome, natural history museum and earthquake simulator. The resident albino alligator, Claude, is a huge hit with kids. Cal Academy is located in Golden Gate Park so there are plenty of other fun places to visit nearby - although if you're anything like me you'll find yourself staying there for the whole day! 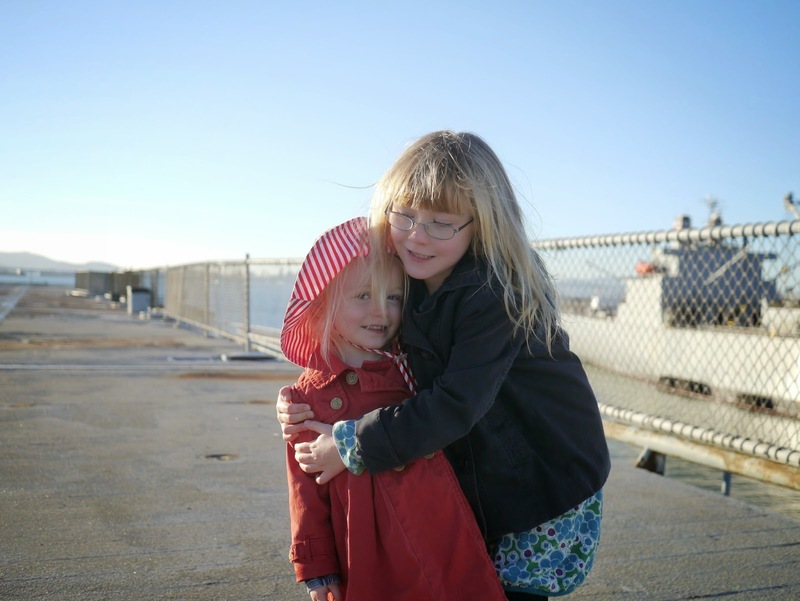 Another favorite with our family, the Exploratorium is full of fun, hands on science based exhibits. 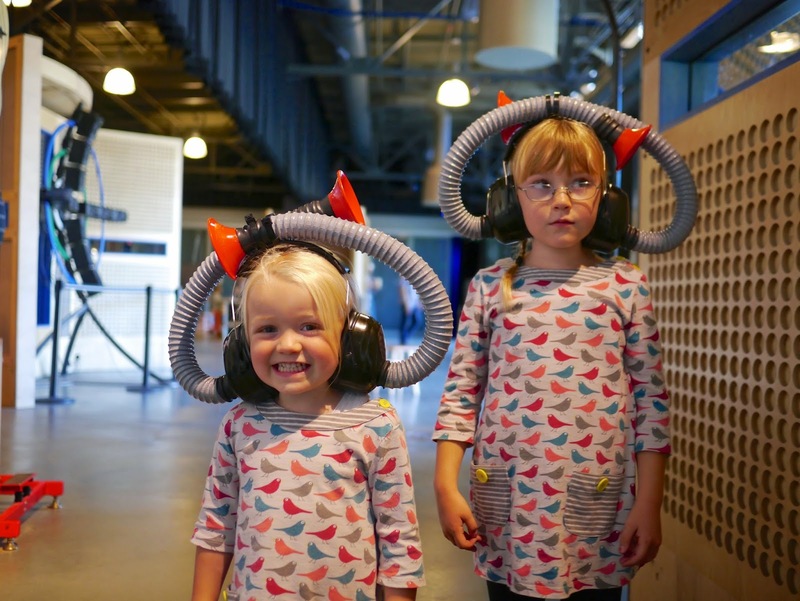 There is just so much to do and see at the Exploratorium. We've never managed to see the whole museum in one visit! The Exploratorium's new location at Pier 15 makes it perfectly located for a stroll or bike ride along the Embarcadero and the views over the bay are stunning. 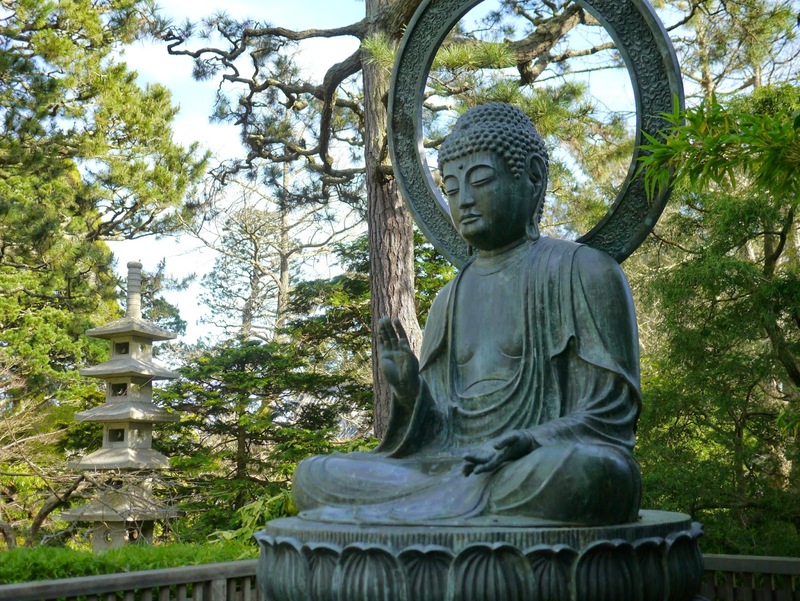 The Japanese Tea Garden in Golden Gate Park is a beautiful place to spend a quiet hour or two. The perfectly manicured gardens are stunning at any time of year but especially in Spring when the cherry blossoms bloom. Ava and Lola enjoyed walking along the small paths and crossing the bridges, especially the Drum Bridge which you must climb to cross. If you feel so inclined you can even organize to take part in a tea ceremony. Lands End is a great place to visit for a little hiking and stunning views. The ruins of Sutro Bath are a highlight and if you're lucky you might spot Sutro Sam, the resident sea otter. 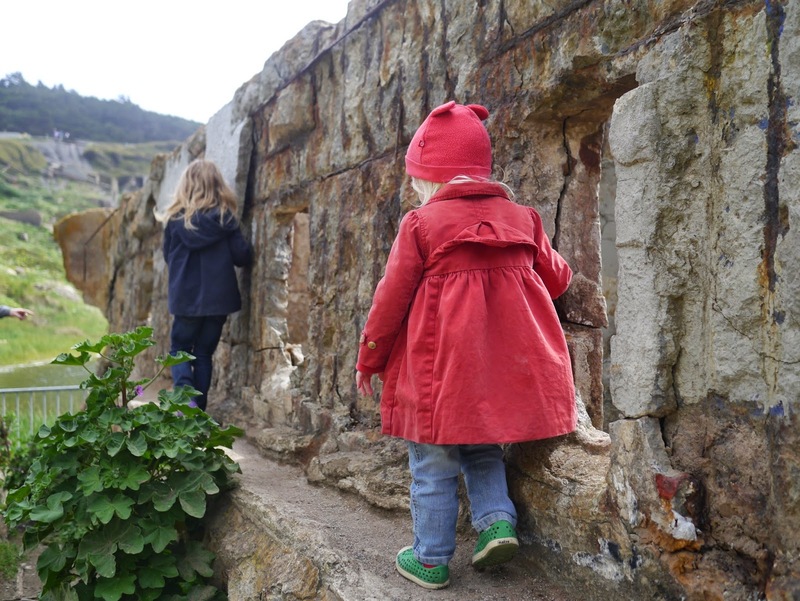 From Sutro Baths there is a lovely hike along the cliff tops and even through a little rock tunnel. After a short walk the Golden Gate Bridge comes into view. You may even spot a pod of dolphins like we did when we were there. For a little piece of history head to the Mission District and spend a few hours exploring its namesake, Mission San Francisco de Asis AKA Mission Dolores. This small church is the oldest intact building in San Francisco and is quite beautiful in its simplicity. There is a small museum featuring items from San Francisco's days as a mission and the history of the native Miwok and Ohlone people. Exploring the cemetery and looking for the oldest gravestone is a favorite with the kids and me. The best bit, of course, is that Mission Dolores is just down the road from Dolores Park and Bi-Rite Creamery! Just like Alcatraz, a bay cruise is pretty touristy but that doesn't mean you should dismiss it. We took a ride with Red & White Cruises when my parents visited from Australia last year and the whole family enjoyed it. These tourist cruises usually come with an audio tour but I chose to skip it and just take in the views. There is nothing like cruising underneath the Golden Gate Bridge. That was definitely the highlight for me. To save a little money on a bay cruise check out Groupon. There is almost always an offer available with one of the cruise companies. This free museum is home to the cables and mechanisms that actually run San Francisco's cable cars. See those big wheels above? That's what makes the cables cars go. Pretty cool, hey? Kids love watching the wheels spin plus there are several vintage cable cars on display. You know those hearts in Union Square? You know how all but one of them change every 6 months or so? Well, when those hearts leave Union Square they pop up in other places all around the city. Some can be found in banks (particularly Wells Fargo branches), some can be found in private offices and some can be found in public areas. I found an online map that we use for tracking down hearts in San Francisco and I've shared it in my Heart Treasure Hunt post (just click the link above). This is definitely our favorite kind of treasure hunt! Looking for a city hike with plenty of photo opportunities? The tiled staircases in the Sunset District are just the place. There are two ornate mosaic tiled stair cases within just a few blocks of each other. 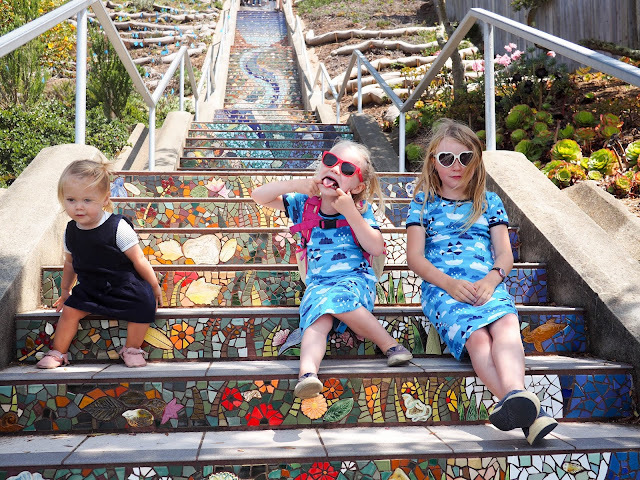 The 16th Avenue Tiled Steps are pretty popular with locals and tourists alike and have popped up as the backdrop of many an Instagram selfie. Just a few blocks over, the lesser known Hidden Garden Steps are just as beautiful but generally free of people - which makes them perfect for exploring with kids who want to look at every little detail. From the top of the 16th Avenue Tiled Steps it's just a short walk (and another staircase) to Grand View Park where the views over the city are rather grand indeed. Many visitors to the tiled staircases don't make it all the way to the top of the hill, but trust me, the views are worth it. The Wells Fargo History Museum is another free museum that is a hit with the kids. An authentic stagecoach takes pride of place in the window and is a great spot for photos. While you can't climb inside of this stagecoach there is another (less authentic) one nearby that visitors are encouraged to sit in. This one has no wheels but can be rocked to feel like it's moving. A video plays in the window telling a little history of Wells Fargo and the Pony Express. The museum also features vintage telephones, telegraphs, banking machines and a game of Pong. These are all hands on exhibits that visitors are encouraged to play with. There's also a free horse and carriage ride of the type that used to be found in supermarkets. Looking for ideas in Berkeley that won't break the bank? This staycation guide features five days worth of activities, many of which are free. 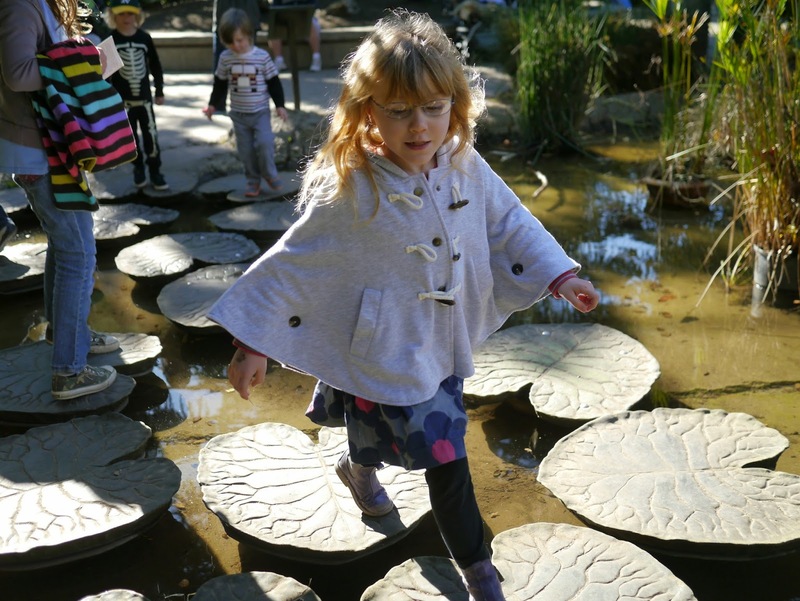 For younger children Fairyland, located on the shore of Oakland's Lake Merritt, is magical place to spend a day. With rides, play structures and installations based on popular fairy tales Fairyland is a firm favorite with East Bay locals. While Fairyland is best suited to younger children, older kids will still enjoy many aspects of the park such as the tall dragon slide and the carousel. Looking for an outdoor destination with a great view? Indian Rock in North Berkeley is it. This rocky outcrop in the hills boasts amazing views over Berkeley, the bay and San Francisco. Climbing to the top can be as easy or as hard as you'd like it. As I'm always carrying Mathilde I take the staircase that is carved into the stone. Ava and Lola however, like to scramble up the side. And for those who are feeling a little more adventurous there is a vertical side that is frequented by rock climbers. You'll need to bring your own equipment for that. Indian Rock is located fairly close to Berkeley's Gourmet Ghetto so there are plenty of options to fill your belly with something delicious after all that climbing fun. Like the Exploratorium, Lawrence Hall of Science is a pretty hands on place. There are lots of fun exhibits for kids to play with. Unlike the Exploratorium, there are also animals on display which can be seen up close (and sometimes even held) at certain times. Lawrence Hall also features a planetarium. Located up high in the Berkeley Hills Lawrence Hall has amazing views over Berkeley, the bay and San Francisco. 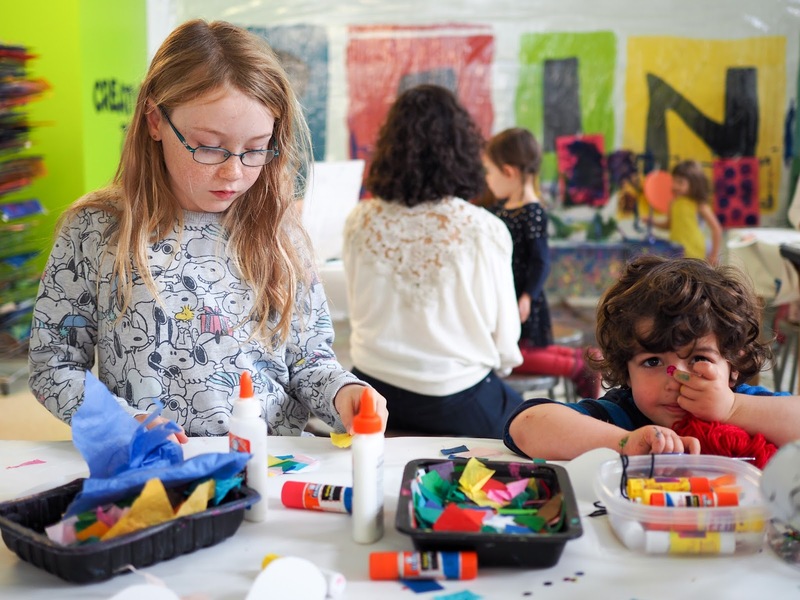 Museum of Children's Art, or MOCHA, is a hands on museum for the youngest artists. Kids of all ages can get creative with a variety of materials at different stations throughout the museum. There is a painting wall, a clay table, magnetic poetry wall, tables with various drawing, stamping, cutting and pasting materials and even a chill out zone. It's a fun and creative place to spend a few hours. So let's say that one of your kids wants to go somewhere with animals and the other wants to go somewhere with rides. Oakland Zoo is the solution! Not only is this fabulous zoo home to a large variety of animals but it also features fairground rides, a train and a sky ride. The sky ride is my favorite part of the zoo. Passengers ride high above the enclosures of animals such as tigers, lions, giraffes and elk gaining a birds eye view of the creatures below. Oh, and a fantastic view over the bay. 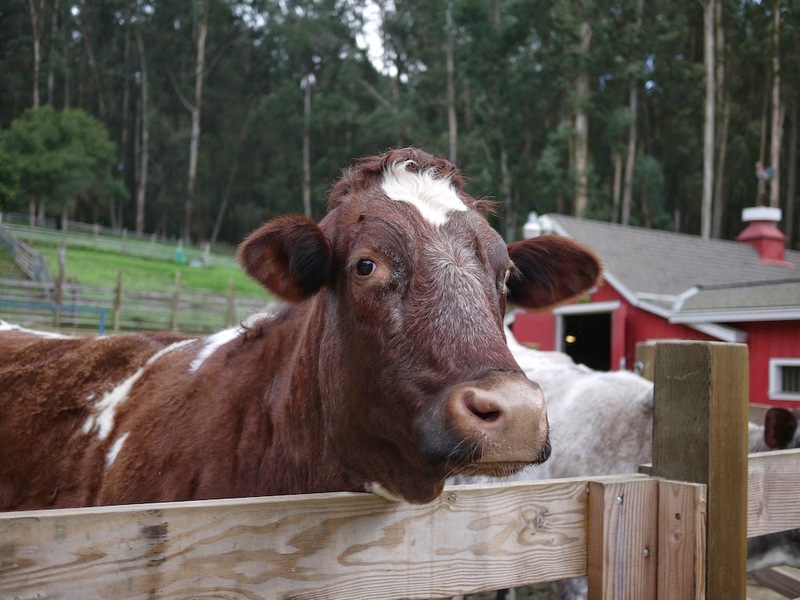 Tilden Park in Berkeley is home to a wealth of family fun from The Little Farm where kids can feed cows, goats and sheep, to the vintage carousel and steam train. Lake Anza in Tilden Park is a great spot for a swim on a sunny day. There is also a botanic gardens and plenty of trails for hiking. And once again, views over the bay. We're all about the views! USS Hornet is a decommissioned aircraft carrier docked at Alameda. The ship is set up as a museum with most parts open to visitors either on a docent lead or self guided tour. There are quite a few planes on display and even a space capsule. From its location in Alameda, the Hornet offers amazing views over the bay towards San Francisco. The Bay Area Discovery Museum has to have the most beautiful location you could possibly imagine. Look at that picture above. You can't get a location better than that, especially on a sunny day. 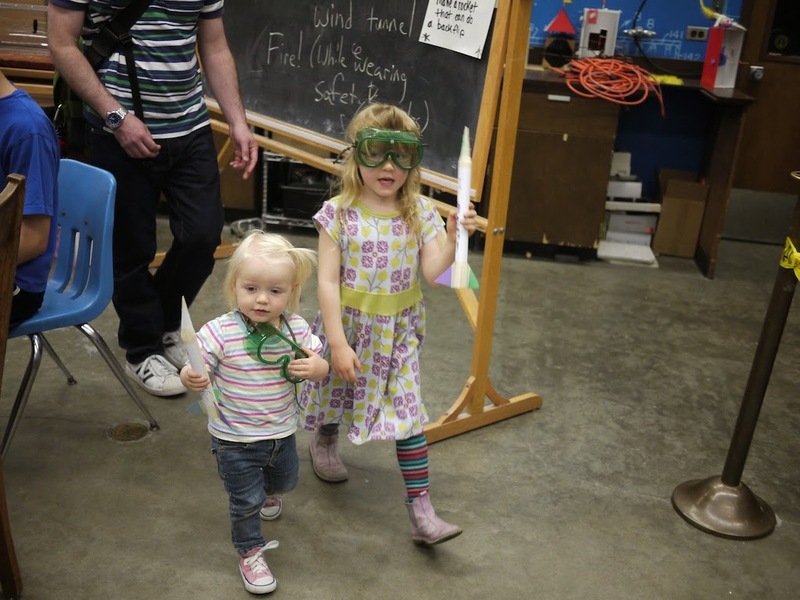 Bay Area Discovery Museum is full of fun hands on art and science activities for kids. And as you can see, it's also home to the playground with the best view ever. It's a pretty good playground too. Are your kids (or even you) a fan of Charlie Brown and Snoopy? If so, then the Charles M Schulz museum in Santa Rosa is a must see. The museum features original drawings from Schulz's famous Peanuts comic strip, an art studio for hands on fun, a cinema, and lots of Peanuts sculptures (which can also be found in various locations around town). My girls loved tracking down as many of the sculptures as possible. You can see them here. Next to the museum is an ice skating rink, cafe and a large Peanuts themed gift shop. Ever wondered how your favorite candy is made? At the Jelly Belly factory in Fairfield you can watch the entire process of jelly bean manufacture. It's a pretty amazing and incredibly colorful process to watch, and as you can probably imagine, it smells divine. The visitor center features a large store, jelly bean tastings, a cafe and artworks created from jelly beans. When we visited a few years ago the tours were guided and photography of the factory floor was not allowed. That has since changed and the tours are now self guided and photography is allowed. Muir Woods is THE place to go if you want to see towering redwoods without spending too much time in a car to get there. Located just across the Golden Gate Bridge near Mill Valley, it's an easy drive from San Francisco. It does get super busy though and finding a park can be tricky. There is a bus service available from Sausalito and other nearby towns. Muir Woods features an easy walking route (much of it wheelchair and stroller accessible) through the redwoods as well as longer and more difficult hikes. There is a cafe and a gift shop. 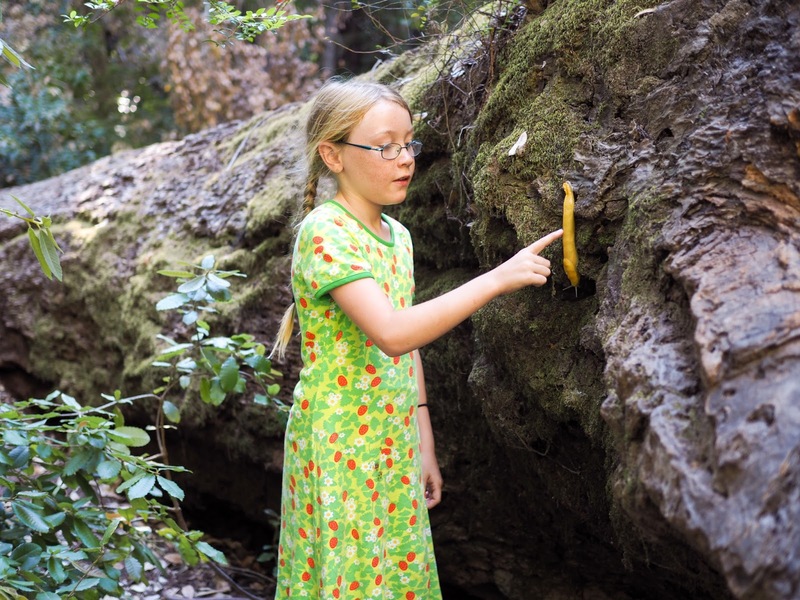 Like Alcatraz, Muir Woods is a national park so kids can take part in the Junior Ranger program and earn a badge. The badges here are made of redwood which makes them a little more special than the regular plastic badges that are handed out at most other National Parks. This is California - there's got to be some beach fun in this list, right? The beaches right here in the Bay Area may not be the best, or not even safe to swim at in the case of San Francisco's Ocean Beach, but just a little further north you'll find Stinson Beach, a long sandy beach perfect for a day in the waves. This beach is pretty popular on hot days, but street parking is plentiful. Like the famous Muir Woods to the north, Big Basin Redwoods Park is fantastic place to visit to take in the majesty of the towering redwoods. Unlike Muir Woods, there are less likely to be huge crowds. 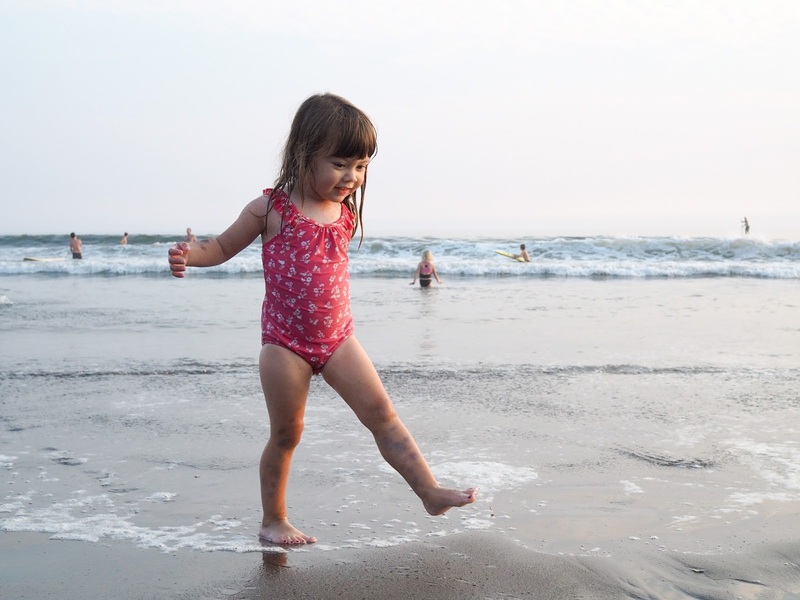 There are a variety of hiking options available from short walks suitable for families with younger kids through to camping trips that take several days. If you're in luck you just might find yourself face to face with one of the West Coast's more intriguing creatures - the banana slug! 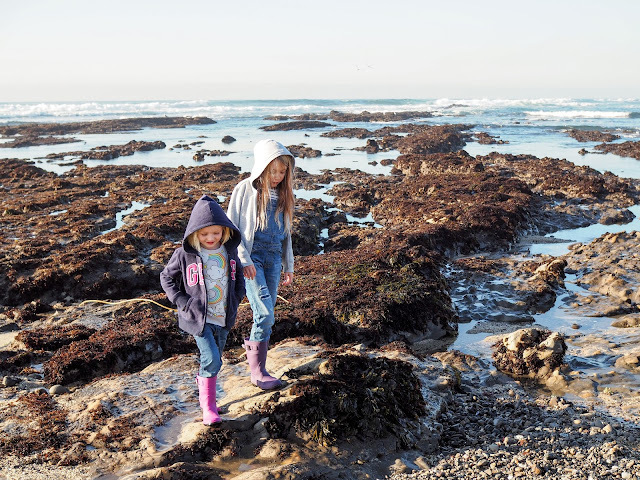 Less than an hour south of San Francisco, Fitzgerald Marine Reserve is a rocky beach filled with tidal pools. The tidal pools, in turn, are filled with an amazing assortment of sea life including hermit crabs, small fish and sea anemones. When the tide is out the beach makes for a wonderful place to explore. Larger sea creatures, including sea lions can be seen nearby too. Winchester Mystery House in San Jose is a great place to visit if you love ghost stories, architecture or history. Or maybe you're like me and you like all three! The house is full of all sorts of quirks (a second floor door that leads outside to a drop, stairs that go nowhere, hidden rooms...) and the story behind it is really intriguing.